TCN Channel Nine. 1963. Producers: Eddie Kebbill, Bill Harmon. (See also - SOUND OF MUSIC, THE). LP (ST) Festival. FL-31,668. 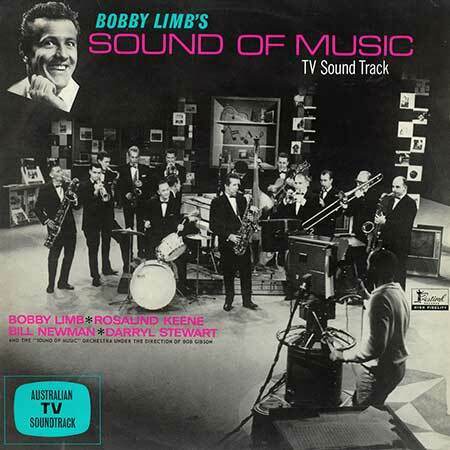 "BOBBY LIMB'S TV "SOUND OF MUSIC"". (Recorded live during telecast). Starring Bobby Limb, Rosalind Keene, Bill Newman & Darryl Stewart. The Sound Of Music Orchestra Directed by Bob Gibson. Musical Co-ordinator: Frank Marcy. "Sound Of Music" Theme. (1:09). (Gibson). Orchestra. (Chappell). Through The Years. (2:00). (Youmans - Heyman). v: Full Company. (Davis). Killarney. (1:35). (Trad.). v: Darryl Stewart. Kiss To Build A Dream On. (2:05). (Kalmar - Ruby). v: Trio - Nola Lester, Helen Zerephos, Betty Parker. (Albert). The Riff Song. (1:40). (Harbach - Hammerstein - Romberg). v: Bill Newman and Company. (Chappell). Every Little Movement. (1:48). (Hoschna - Harbach). v: Shirley Sunners, Frank Ward. (Allan). (a) Request Theme. (Bob Gibson). (Control). (b) The Daughter Of Rosie O'Grady. (1:54). (Donaldson - Brice). v: Bobby Limb, Frank Ward. (Albert). (a) Old Kentucky Home. (Foster). (b) Camptown Races. (Foster). v: Full Company. Massa's In De Cold, Cold Ground. (2:55). (Foster). v: Rosalind Keene. Some Folks Like To Sigh. (1:12). (Foster). v: Trio - Nola Lester, Helen Zerephos, Betty Parker. Jeannie With The Light Brown Hair. (2:03). (Stephen Foster). v: Darryl Stewart. Oh Susannah. (1:22). (S. Foster). v: Full Company. Shadow Waltz. (1:25). (Warren - Dubin). v: Darryl Stewart. (Albert). The Desert Song. (1:56). (S. Romberg - Harbach - Hammerstein II). v: Bill Newman. (Chappell). Sound Of Music Theme. (0:50). (Bob Gibson). (Chappell). LP (ST) Festival. FL-31,796. (m). (Also LP Calendar R66-63). 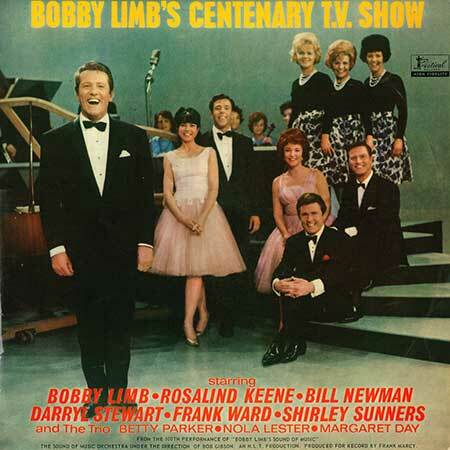 "BOBBY LIMB'S CENTENARY TV SHOW". The Sound Of Music Orchestra under the Direction of Bob Gibson. Produced for record by Frank Marcy. An N.L.T. Production. (From the 100th Performance of "BOBBY LIMB'S SOUND OF MUSIC"). (a) Bobby Limb Spoken Intro. (b) Happy Birthday To Us (Many Happy Returns Of The Day). (3:15). (Dubin - Burke). v: Entire Cast. (Albert). A Spoonful Of Sugar. (1:48). (R & M. Sherman). v: The Trio, Nola, Betty & Margaret. (Chappell). Love Is A Many-Splendored Thing. (1:42). (Fain - Webster). v: Darryl Stewart. (Albert). Swinging On A Star. (1:44). (Van Heusen - Burke). v: Frank Ward, Shirley Sunners. (Chappell). I Love Life. (1:39). (Cassell - Zucca). v: Bill Newman. (Allan). (a) Varsity Drag. (DeSylva - Brown - Henderson). v: Bobby Limb. (Chappell). (b) Nagasaki. (Warren - Dixon). v: The Trio. (Allan). Waiting At The Church. (1:22). (Leigh - Pether). v: The Trio. (Albert). Macushla. (3:05). (Rowe - MacMurrough). v: Darryl Stewart. (Boosey & Hawkes). Key's Of Heaven. (2:20). v: Rosalind Keene, Bill Newman. Speak To Me Of My Mother (From "Carmen"). (4:20). (Bizet). v: Rosalind Keene. Lola Montez Medley - Finale: (6:40). (a) Southerly Buster. (Benjamin - Stannard).v: Entire Cast. (Chappell). (b) I'm The Man. (Stannard - Benjamin - Burke). v: Bill Newman. (Chappell). (c) Saturday Girl. (Benjamin - Stannard). v: Darryl Stewart. (Chappell). (d) I Can See A Town. (Stannard - Benjamin - Burke). v: Rosalind Keene & Entire Cast. (Chappell). LP (OP) Select. US-1006. 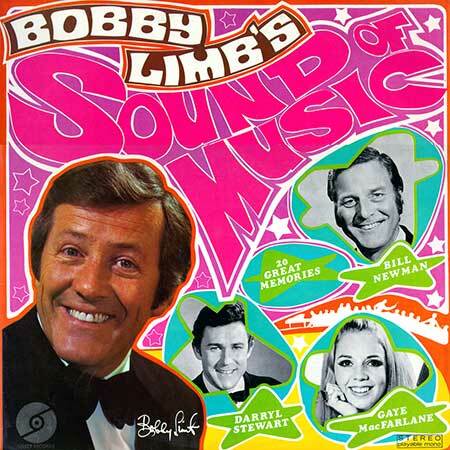 "BOBBY LIMB'S SOUND OF MUSIC". Musical Director: Bob Young. Conductor: Bob Gibson. Choral Director: Claire Poole. Musical Co-ordinator: Lee Sydenham. Produced by Young and Sydenham. Recorded by United Sound Studios Sydney for NU-VAC Pty. Ltd 21 Pier Street, Sydney. Powder Your Face With Sunshine. (Lombardo - Rochinski). v: Bobby Limb and The Company. (Chappell). (Maschwitz - Sherwin). v: Darryl Stewart. (Albert). Vilia. (Lehar). v: Gaye MacFarlane. (Chappell). Button Up Your Overcoat. (Henderson - DeSylva - Brown). v: Bobby Limb. (Chappell).. The Donkey Serenade. (Frimi). v: Bill Newman. (Chappell). I've Got My Love To Keep Me Warm. (Berlin). Bob Young Orchestra & Chorus. (Chappell). Top Hat, White Tie And Tails. (Berlin). Ensemble. (Chappell). No Strings. (Berlin). v: Gaye MacFarlane. (Chappell). Isn't This A Lovely Day. (Berlin). v: Darryl Stewart, Gaye MacFarlane. (Chappell). No No Nanette. (Youmans - Caesar - Harbach). v: Gaye MacFarlane and Chorus. (Chappell). Tea For Two. (Youmans - Caesar - Harbach). v: Darryl Stewart, Gaye MacFarlane. (Chappell). I Want To Be Happy. (Youmans - Caesar - Harbach). (Youmans - Caesar - Harbach). 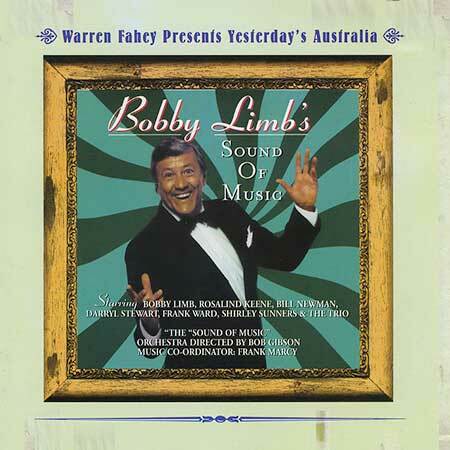 v: Bobby Limb & Chorus. (Chappell). Hello, Dolly. (Herman). Bob Young Orchestra and Chorus. (Morris). Harrigan. (Cohan). v: Bobby Limb. (Albert). Mary Is A Grand Old Name. (Cohan). v: Darryl Stewart. (Albert). Look For The Silver Lining. (Kern). v: Gaye MacFarlane. (Chappell). Make Believe. (Kern - Hammerstein II). v: Darryl Stewart, Gaye MacFarlane. (Chappell). For Me And My Gal. (Meyer - Leslie - Goetz). Ensemble. (Davis). Give My Regards To Broadway. (Cohan). v: Bill Newman and The Company. (Albert). LP (ST) Calendar. R66-9981. 1972. (Also LP Universal Record Club U-799). "SOUND OF MUSIC". Starring Bobby Limb, Rosalind Keene, Bill Newman, Darryl Stewart. The "Sound Of Music" Orchestra Directed by Bob Gibson. Musical Co-ordinator: Frank Marcy. 1972 Festival Records. (b) Camptown Races. (Foster). (N/C). Massa's In De Cold, Cold Ground. (Foster). v: Rosalind Keene. (N/C). Some Folks Like To Sigh. (Foster). v: Trio - Nola Lester, Helen Zerephos, Betty Parker. (N/C). Jeannie With The Light Brown Hair. (Foster). v: Darryl Stewart. (N/C). Shadow Waltz. (Warren - Dubin). v: Darryl Stewart. (Albert). The Desert Song. (Romberg - Harbach - Hammerstein II). v: Bill Newman. (Chappell). Waiting At The Church. (Leigh - Pether). v: The Trio. (Albert). Macushla. (Rowe - MacMurrough). v: D. Stewart. (B&H). Keys Of Heaven. v: R. Keene, B. Newman. (N/C). Speak To Me Of My Mother (From "Carmen"). (Bizet). v: Rosalind Keene. (N/C). (a) Southerly Buster. (Benjamin - Stannard). v: Entire Cast. (b) I'm The Man. (Stannard - Benjamin - Burke). v: Bill Newman. (c) Saturday Girl. (Benjamin - Stannard). v: Darryl Stewart. (d) I Can See A Town. (Stannard - Benjamin - Burke). v: Rosalind Keene and Entire Cast. (Chappell). LP (ST) Festival. RML-53232. 1987. 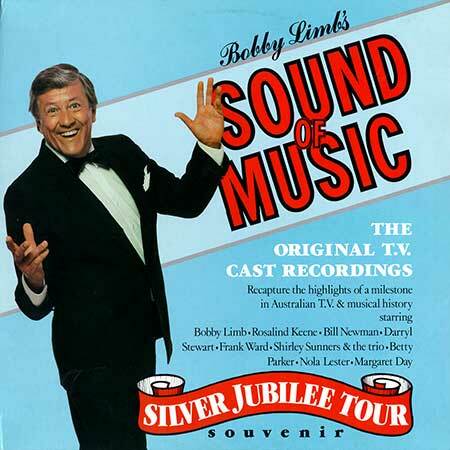 "BOBBY LIMB'S "SOUND OF MUSIC" SILVER JUBILEE". Starring: Bobby Limb, Rosalind Keene, Bill Newman, Darryl Stewart, Frank Ward, Shirley Sunners & The Trio. The "Sound Of Music" Orchestra Directed by Bob Gibson. Musical Co-Ordinator Frank Marcy. "Sound Of Music" Theme. (1:09). (Bob Gibson). (Chappell). Through The Years. (2:00). (Youmans - Heyman). (Albert/Warner Bros.). A Kiss To Build A Dream On. (2:00). (Kalmar - Ruby). (Albert). The Riff Song. (1:40). (Harbach - Hammerstein - Romberg). (Albert/Chappell). Every Little Movement. (1:48). (Hoschna - Harbach). (Control). (a) Request Theme. (1:54). (Bob Gibson). (Control). (b) The Daughter Of Rosie O'Grady. (1:54). (Donaldson - Brice). (Warner Bros.). What Kind Of Fool Am I? (2:28). (L. Bricusse - A. Newley). (Essex). (a) Old Kentucky Home. (Foster). (Non-Copyright). (b) Camptown Races. (2:07). (Foster). (Non-Copyright). Massa's In De Cold, Cold Ground. (2:55). (S. Foster). (Non-Copyright). Some Folks Like To Sigh. (1:12). (Foster). (Non-Copyright). Jeannie With The Light Brown Hair. (2:03). (Stephen Foster). (Non-Copyright). Oh Susannah. (1:22). (S. Foster). (Non-Copyright). Shadow Waltz. (1:25). (Warren - Dubin). (Albert/Control). (b) Happy Birthday To Us (Many Happy Returns Of The Day). (3:15). (Dubin - Burke). (Non-Copyright). A Spoonful Of Sugar. (R & W. Sherman). (Disney). Love Is A Many Spendored Thing. (1:42). (Fain - Webster). (SBK Songs Catalogue Partnership). Swinging On A Star. (1:44). (Van Heusen - Burke). (Morris). I Love Life. (1:39). (Cassell - Zucca). (Non-Copyright). (a) Varsity Drag. (De Sylva - Brown - Henderson). (Albert). (b) Nagasaki. (Warren - Dixon). (Albert/Allans). (c) The Black Bottom. (De Sylva - Brown - Henderson). (Albert/Chappell). Waiting At The Church. (1:22). (Leigh - Pether). (Albert). Macushla. (3:05). (Rowe - MacMurrough). (Boosey & Hawkes). Keys Of Heaven. (2:20). (Non-Copyright). Speak To Me Of My Mother (from "Carmen"). (4:20). (Bizet). (Non-Copyright). Lola Montez Medley: (8:10). (Non-Copyright). (a) Southerly Buster. (Benjamin - Stannard). (b) I'm The Man. (P. Stannard - P. Benjamin - Alan Burke). (c) Saturday Girl. (Benjamin - Stannard). (d) I Can See A Town. (P. Stannard - P. Benjamin - Alan Burke). "Sound Of Music" Theme. (0:50). (Bob Gibson). (Chappell). LP (ST) Universal Record Club. U-799. 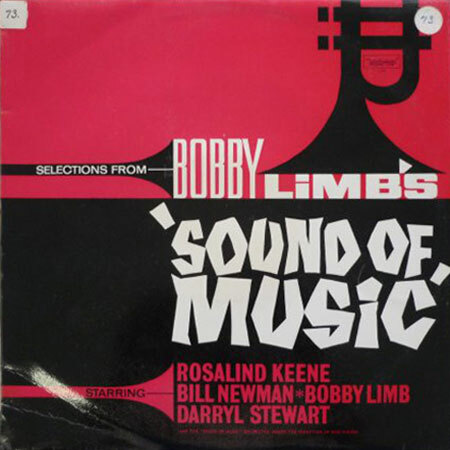 "SELECTIONS FROM BOBBY LIMB'S "SOUND OF MUSIC". Some Folks Like to Sigh. CD (ST) Larrikin. D26466. 1999. 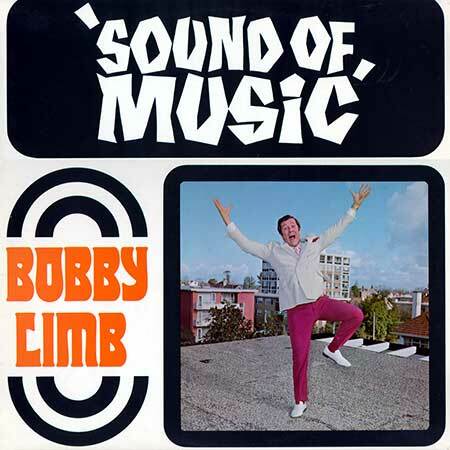 "BOBBY LIMB'S "SOUND OF MUSIC". Funky Handel - Bobby Limb's Sax Connection. Abba Dabba Honeymoon - Bobby and Dawn. Baby It's Cold Outside - Bobby and Dawn. Two Sleepy People - Bobby and Dawn. No Two People/So Long - Bobby and Dawn. Bobby And Dawn Sing For Kelloggs. 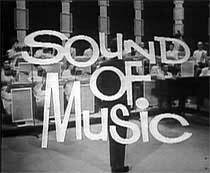 Sound Of Music (opening theme) - Bob Gibson. Through The Years - Bobby and Cast. Kiss To Build A Dream On - The Trio. The Riff Song - Bill Newman. Every Little Movement - Frank Ward, Shirley Sunners. Daughter Of Rosie O'Grady - Frank Ward, Bobby Limb. What Kind Of Fool Am I? - Bill Newman and Trio. Stephen Foster Medley - Bobby and Cast. Shadow Waltz - Darryl Stewart. The Desert Song - Bill Newman. Happy Birthday To Us - Bobby and Cast. A Spoonful of Sugar - The Trio. Love Is A Many Splendour'd Thing - Darryl Stewart. Swinging On A Star - Frank Ward, Shirley Sunners. I Love Life - Bill Newman. 1920's Medley - Bobby and Cast. Waiting At The Church - The Trio. The Keys Of Heaven - Rosalind Keene, Bill Newman. Speak To Me Of My Mother - Rosalind Keene. Lola Montez Medley - The Cast. Powder Your Face With Sunshine - Bobby and Cast.